On June 2, 1969, medic Joseph LaPointe volunteered for a mission near the infamous Hamburger Hill battle site. Shortly after being dropped at the landing zone in a UH-1H Huey, two men in his unit were wounded and demobilized. In the face of heavy enemy fire, SP4 LaPointe risked his own life by crawling to his fallen brothers, shielding them and sustaining his own wounds while offering assistance. Moments later, a grenade killed all three men. 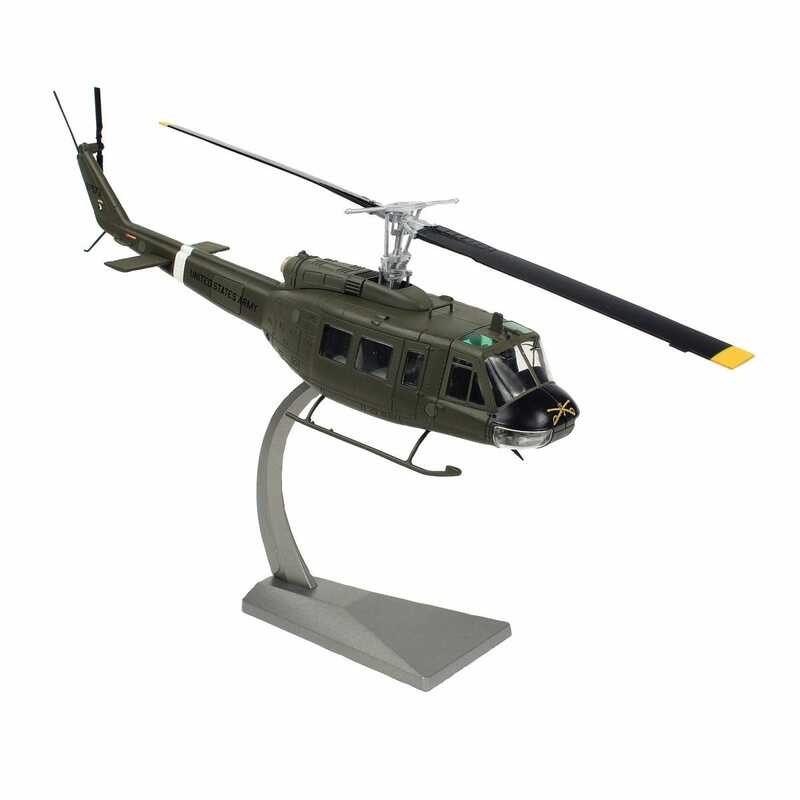 As a celebration of LaPointe's gallantry for which he was posthumously awarded the Medal of Honor we’re proud to offer a newly tooled, 1:48 scale, Die-Cast replica of the chopper in which he flew (a warbird that is today displayed at the Vietnam War Museum in Saigon). 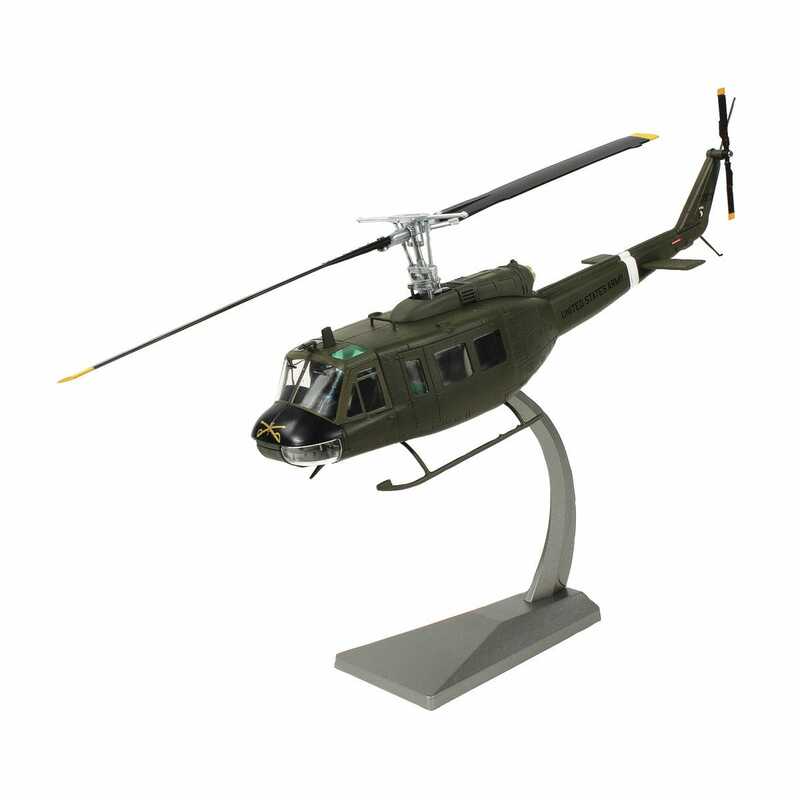 Model features see-through windows, a well-appointed interior, a free-spinning main and rear rotor, authentic 101st Airborne (17th Cavalry) markings, and a metal display stand. Measures about 14.25"l with a rotor span of 11.75”. Looks just like the real thing. Brings back memories every time I see it.